If you're visiting San Francisco in the summer, you can find some fun things to do after the sun goes down. This isn't a list of all the things you could do in San Francisco at night any time of year. Those are summarized in the guide to San Francisco at Night. Instead, this page lists things that only happen on summer nights — or things that are significantly better or more fun that time of year. Before you get to the list, you need to know a little more about San Francisco's summer weather. Back in the day — the late 1960s to be exact — Eric Burdon and The Animals recorded "San Franciscan Nights," a song whose lyrics describe "a warm San Franciscan night," but don't let that or any other sun-and-shorts stereotype of California in summer fool you. Even if the day has been warm, fog is likely to roll in at sunset, and the cold, damp and windy conditions have left many an unprepared visitor (and even some locals) shivering. Your best defense against chill bumps is to check the forecast and take an extra layer, just in case. Film Night in the Park screens fairly recent films in a variety of locations, including several in San Francisco and others in the surrounding towns. San Francisco Jazz Festival concerts are held indoors during the last half of June, making it another good choice for those chilly summer evenings. Outside Lands Festival is held in Golden Gate Park every August and features music, food, wine, beer, and art — in one festival lasting three days. This popular event attracts big-name performers that in the past have included the likes of Paul McCartney, Red Hot Chili Peppers, Trombone Shorty and Willie Nelson. Musical performances run all afternoon and into the evening. Outside of San Francisco's city limits but within an hours' drive, you can enjoy summer evening music concerts at The Mountain Winery, Shoreline Amphitheater, and Berkeley's Greek Theatre. California Shakespeare Theater is locally called "Cal Shakes," but more as a nickname than a commentary on its movement. This summer theater festival isn't limited to works by the famous Englishman but also includes more contemporary works. Their season runs from late May through late June, and you can get to their theater in Orinda (east of San Francisco) on public transportation. You can find out how and get more directions on the Cal Shakes website. San Francisco Giants Night Games: Nighttime baseball games are fun anywhere, but especially in the Giants' lovely baseball park and they also schedule several fun special event nights during the summer. San Francisco may have California's chilliest conditions at Fourth of July, but that doesn't put a damper on their Independence Day celebrations. In fact, they have the best public fireworks display of any of the state's bigger cities. Find out all about it and more goings-on in the Fourth of July in California Guide. There's a lot more to do in San Francisco, day or night no matter what the season is. If you're a contrarian traveler who seeks out the undiscovered spots, then don't miss these things you didn't know you wanted to do in San Francisco. 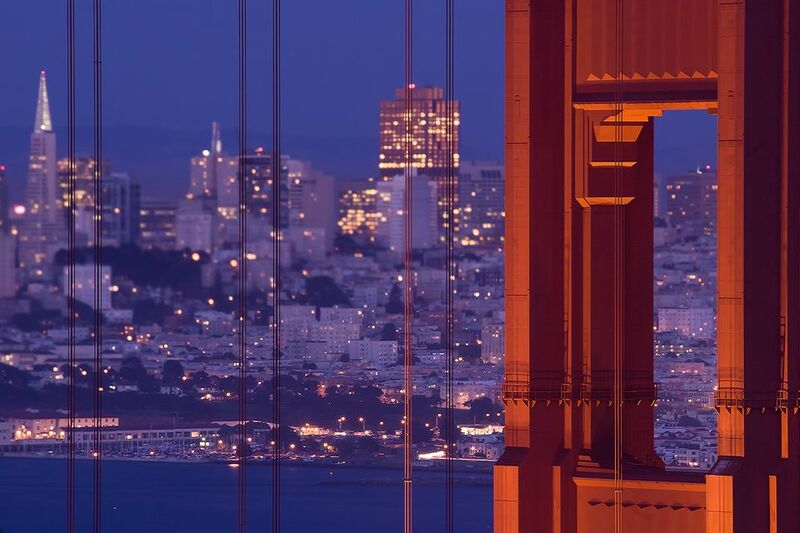 And of course, you'll want to take a look at the top things to do in San Francisco. Do you want your kids to have fun in San Francisco? Here's where to take them. San Francisco is one of California's best places to have fun without spending a penny. Just use the guide to things to do for free in San Francisco. It might rain in the winter. Here's what to do in San Francisco when it's raining. And you can also find out what you can do at night in San Francisco anytime. You don't want to sound and look like a dumb San Francisco tourist or waste your time on trashy tourist spots. Whatever you do, don't do these 16 things when you go to San Francisco.